Times change. While tobacco has now assumed a Social Evil status up there with North Korea, not so long ago children would be proudly displayed in an advert clutching a bunch of fags with the words ‘Mummy’s favourite’ underneath. Such an image is one of the many lots on offer in a timed auction being held by John Pye Auctions, in which artefacts and assets from Nottingham’s Imperial Tobacco Horizon Factory are going under the hammer. It includes original artwork for many John Player adverts. Whether you view cigarettes as deserving of eradication or a huge contributor to tax revenues is one thing, and the Antiques Trade Gazette website is not the place for that heated debate, but what is unquestionable is the massive impact they had at one time. More than 120 items from Imperial Tobacco’s Horizon Factory, a 48.5 acre facility which closed in March last year, will be auctioned off John Pye, the local auction house. The well-known factory, formerly known as ‘Players’, housed these items which would have been on display across the factory’s five floors, which included two productions floors, office space, conference rooms and canteens. The premises in Thane Road was built in the 1960s and opened in 1972, and in its heyday employed more than 1000 staff. Sale highlights include several oil on canvas paintings. 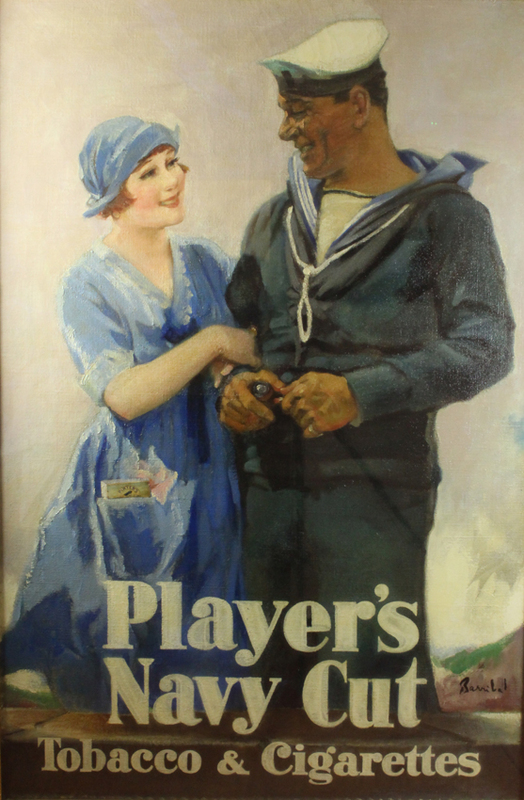 ‘Players Navy Cut’ depicts a sailor and partner with smoking paraphernalia. Signed ‘Bannibal’. Original was created for the design of a Player’s Navy Cut advert. 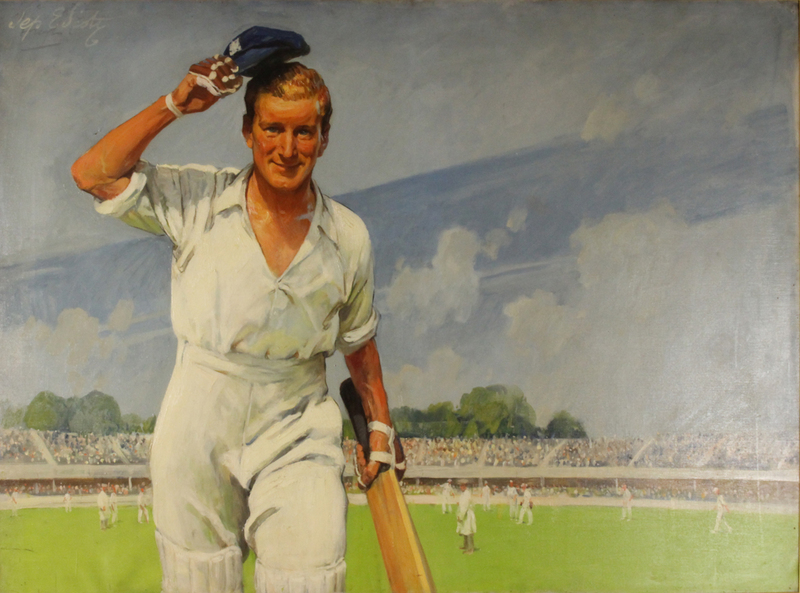 Another, called ‘The Nation’s Choice’, shows a batsman. Signed ‘Sep E Scott’. Original was created for a Nation’s Choice advert. 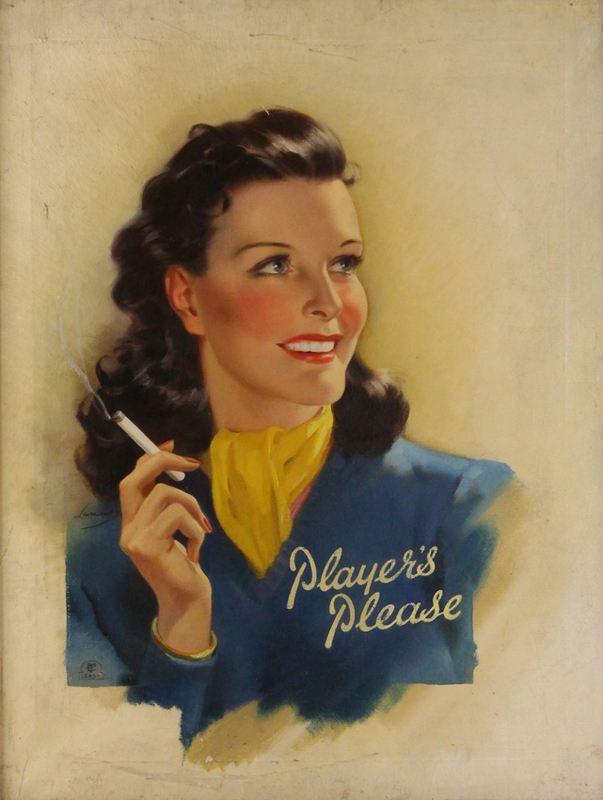 ‘Players Please’ depicts a lady with a lit cigarette. Signed ‘Lambert’. Acquired by Imperial Tobacco in 1947. 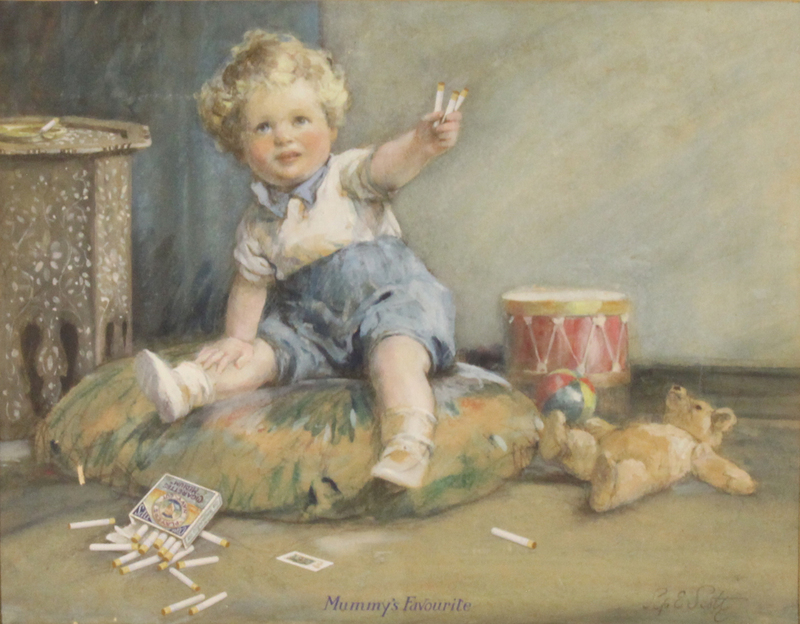 Meanwhile, among the watercolour paintings is that ‘Mummy’s Favourite’ example which features a child playing with cigarettes. Signed ‘Sep E Scott’. Original was created for a Mummy’s Choice Player’s Navy Cut advert. Another watercolour painting called ‘Cutty Sark’ is signed ‘Frank H Mason’- a famous and popular artist if you are a collector of vintage railway posters. Other highlights include a John Player & Sons brass factory sign. The sign was used on one of the original John Player buildings. Need storage space for filing? Try an original Victorian twin-sided architects desk with 26 drawers. The online auction has now started, and all lots will be available to view at the auctioneers’ Marchington site in Staffordshire on May 29 and Trent Bridge Cricket Ground on June 6. The auction ends on June 7. Trevor Palethorpe, national head of corporate valuations at John Pye Auctions, said: “This is an opportunity to purchase rare paintings and other artefacts which have only ever been owned by one major institution, and have only been seen by a small number of people as they have never been put on public display.